﻿ Howie Hayman - Music - Finnish Folk Music. Folk music is typically influenced by Karelian traditional tunes and lyrics of the Kalevala metre. Karelian heritage has traditionally been perceived as the purest expression of Finnic myths and beliefs, thought to be spared from Germanic and Slavic influences. In the west of the country, more mainstream Nordic folk music traditions prevail. The Sami people of northern Finland have their own musical traditions, collectively Sami music. Finnish folk music has undergone a roots revival in the recent decades, and has also become a part of popular music. 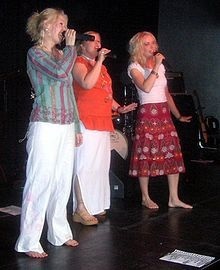 Värttinä (Finnish for spindle) is a Finnish folk music band which was started as a project by Sari and Mari Kaasinen back in 1983 in the village of Rääkkylä, in Karelia, the southeastern region of Finland. Many transformations have taken place in the band since then. Värttinä shot into fame with the release of their 1991 album Oi Dai. As of 2009, the band consists of three lead female vocalists supported by three acoustic musicians. The vocalists sing in the Karelian language of Finnish Karelia.